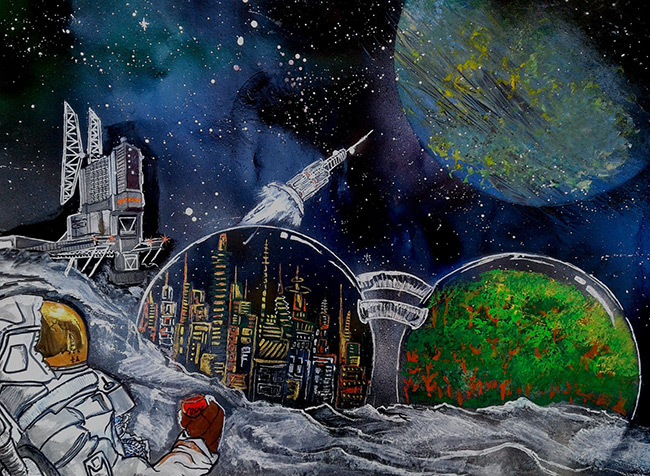 The following three images were the winners of the 2017 NSS Roadmap to Space Settlement Student Art Contest, followed by five Honorable Mentions. 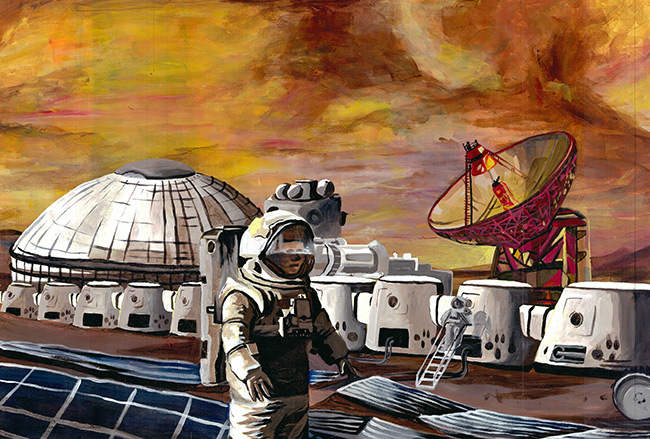 Description: The painting depicts a moment in which astronauts create transportation systems for travelling the distance between the Red Planet and Earth. I wanted to convey a feeling of innovative creativity of the space equipment, all these objects being placed in a surreal-like environment. Tools used: Acrylic colors.. Description: My artwork displays an everyday scene from a Martian colony. 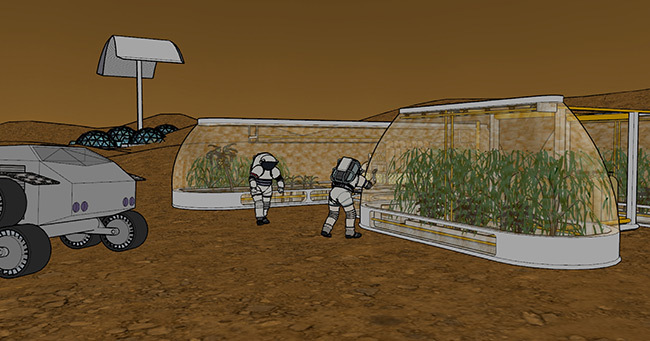 Two settlers are working at greenhouses located some distance away from the main habitats. Their transportation vehicle has eight large wheels to move in Martian sand and several solar panels to reduce the need for fuel. The settlement provides its water from sources at Mars. Main base of the colony is at the background. Tools Used: Most of the project is drawn in Sketch Up. Additions such as the vehicle are drawn in Windows Paint. Later, artwork has been edited using Photoshop. 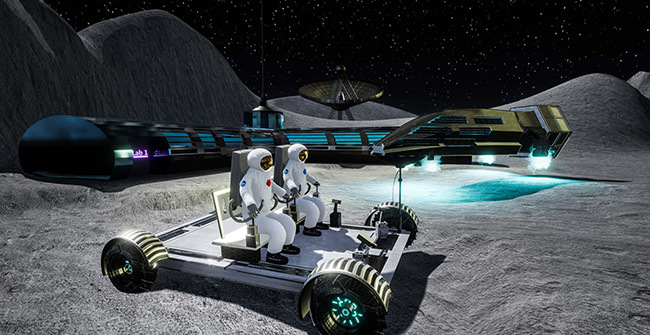 Description: Two astronauts are exploring the Moon. 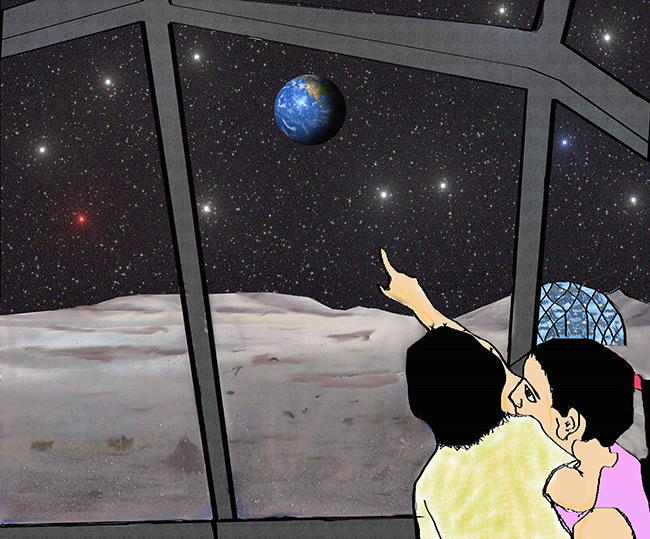 Behind them is their spaceship, the lunar settlement, and an antenna. Tools Used: Cinema 4D, Unreal Engine 4, Adobe Photoshop, Adobe Lightroom. Description: This is a base in a canyon on the surface of Mars. The great base has in its surroundings an antena,an ore factory and a greenhouse with a deposit. 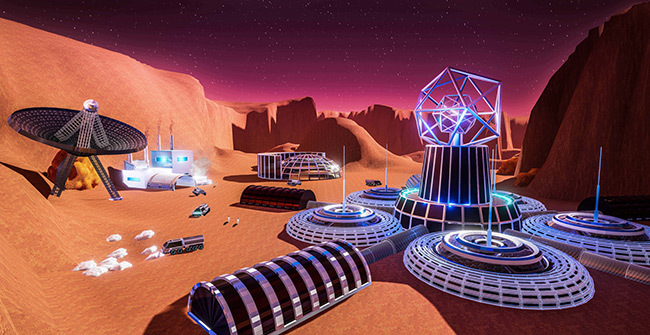 The cars are exploring the planet for resources and some of them are collecting ores. Tools Used: Cinema 4D, Unreal Engine 4, Adobe Photoshop, Adobe Lightroom. 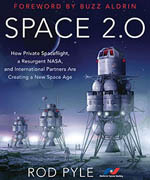 Description: The astronaut is working at his space settlement, which is reflected in his visor, along with his spaceship. Tools Used: Water colors, crayons. Description: We now enjoy seeing the Moon in the starry night sky. We expect a time in the future when we look and wonder at the beauty of the Earth from the Moon. Tools Used: Gimp 2.8. Description: Two airtight domes of crack-proof material provide a protective covering to the settlement and forested areas, trap the inner gases, protect from harmful rays of the sun, and maintain internal pressure. City and forested areas are separated in individual domes and are interconnected through tunnels for circulation of clean air. A spaceport for transportation of human and goods is situated away from the settlement. Tools Used: Crayons, water colors, brushes, spray paints, pencil colors, pencils, eraser, color pens. 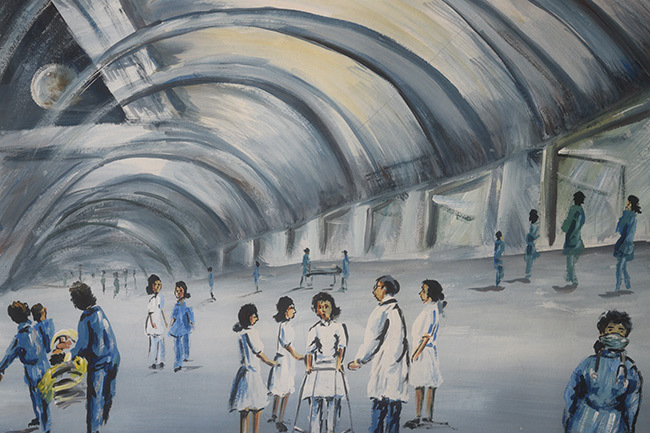 Description: The artwork depicts the hustle and bustle of a health care center in a space settlement. 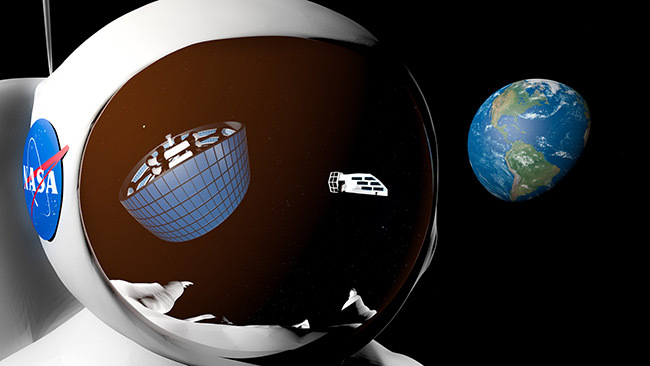 Be it on the Earth or in space, health care is of major importance. We can see patients being carried on stretchers and taken into wards, and doctors and nurses helping a woman to walk. These are common sights in a hospital on Earth. 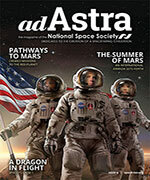 A health care center in a space settlement would not look much different. Tools Used: Poster colors.